This will be the third year for the barter offer, the first year saw 40 donors and last year 100 showed up. Even more are expected this time around as local restaurants are getting involved, providing free food and drinks for the skiers who choose to participate. Grain For A New Car! In Argentina they've introduced an unusual barter opportunity. It's available to farmers who can provide a semi (truck) load or two of corn or soybeans to a Daimler Chrysler dealer--in exchange they will drive off with a new car. Daimler Chrysler calls the exchange the "Grain Plan." These are heady times for the professional football league in Canada. Television viewership, corporate sponsorship, and merchandise sales are all up. So is the use of barter, with the league's teams busy trading everything from seats to sponsorship deals. Barter has aided the many marketing and promotions efforts, which in turn generate more interest in their product. The league's #1 team, the Montreal Alouettes, reported $4.8 million in barter deals this past season--tops in the league. Now available...781 of the most important barter contacts, U.S. and global, in the world! Wendall Stroderd, one of the top-producing ITEX independent licensed brokers, has become the first ITEX franchisee in the United States. Stroderd is located in Brevard County, Florida. ITEX CEO Spike Humer says the placement of ITEX franchises will be an important pillar in the company's infrastructure and future success. "Franchising will allow us to foster an environment of performance and consistency throughout the trade exchange and our business network, while generating additional revenues to grow our business." Humer says the sale and placement of franchises will increase significantly in the new calendar year. 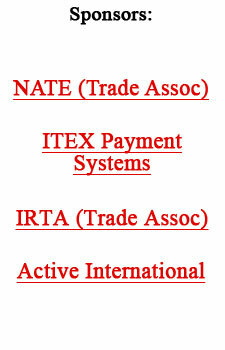 For more information on ITEX franchising contact COO Mel Kerr at (702) 220-8030 or visit www.itex.com. Were these trades done for legitimate business reasons? That's the question being asked these days by the Securities and Exchange Commission. Because using barter deals to artificially inflate revenue is considered fraudulent, what's being carefully scrutinized by investigators is how companies agree to purchase goods and services from each other at or about the same time. Former Veritas managers said their company's advertising buy was widely viewed as a quid pro quo for the AOL software sale. Veritas, a California software company, has reported that the SEC has subpoenaed documents related to a $50 million reciprocal transaction with media giant AOL. Moneyline anchor Lou Dobbs delivered a message of optimism and challenges at the opening session of the recent Direct Marketing Association's annual convention in San Francisco. Dobbs stated that we are on the verge of reversing the past seven quarters of declining business investment and six quarters (1.5 years) of declining corporate earnings. He sees inflation being constrained and no more interest rate moves, in either direction, for nine months to a year. The anchor and producer of CNN's Moneyline said the war against terrorism will cost hundreds of billions of dollars in the years ahead. He cited a study by the Brookings Institute on what would happen if one major city were hit by a biological attack, "In addition to the loss of life, in economic terms it would cost $750 billion. This is a war in which we cannot afford one failure," he stressed. Already sizable, the $150 billion outsourcing industry is being given a major boost by the White House's plan that would see 850,000 government jobs going to the private sector. Entrepreneurs, the wearer of many hats, have long known that working with an outside firm (outsourcing) is worthwhile, because it frees them to concentrate on what they do best. Many members of trade exchanges believe it's not only an excellent way to get optimum benefits for their bartering efforts, as the outsourcing services are paid with trade dollars, but the most productive as well. The most popular outsourced services are financial in nature: payroll, tax compliance, claims administration...although security and lawn service are also very popular. Success is attained by setting up an appointment with one's trade broker, then going over the list you've compiled of tasks that might be done by outside firms...always staying cognizant of the importance of the three C's: costs, credentials, and client recommendations. It's that time of the year...trade exchanges across the country will be holding their annual barter fairs and expo's, enabling their clients to make needed holiday purchases on trade. Here are a few we've come across. TradeAmericanCard (Orange, CA) Holiday Expo will be taking place on Sunday, December 1, at the Santa Ana Performing Arts and Event Center. For information: (714) 532-1610. BXI Bay Area (San Francisco, CA) Trade Sale & Show will be held Sunday, December 1. For information: (877) 324-5386. BXI Northern Nevada (Reno, NV) Holiday Trade Fair & Auction is scheduled for Sunday, December 1, at The Siena Hotel Spa Casino. For information: (775) 829-2990. BXI Northern California (Redwood City, CA) Christmas Trade Fair will be taking place Sunday, December 1, at the Radisson Hotel in Union City. Barter Business Unlimited (Newington, CT) 11th Annual Barter Expo will be held Tuesday, December 3, at the Connecticut Expo Center in Hartford. For information: (860) 493-1305. BXI Columbus (Columbus, OH) Holiday Barter Fair will be taking place Thursday, December 5, at the Aladdin Shrine Complex. For details: (614) 848-7788. BXI Phoenix (Cave Creek, AZ) Arizona Holiday Barter Fair to be held Saturday and Sunday, December 7 & 8, at the Lazy K. For information (480) 946-2929. BXI Orange Country (Huntington Beach, CA) Holiday Barter Fair will be taking place on Sunday, December 15, at the Orange County Fairgrounds in Costa Mesa. For information: (714) 847-5477. If you would like your event mentioned in next week's issue, send us the information via e-mail: "Holiday Event" to bmeyer@barternews.com. Get A Gigantic Library Of Bartering Information! You can obtain every available back-issue of BarterNews. Regular readers of the Tuesday Report have seen our coverage of China's growing clout in the world. Last week we pointed out how their stock market is opening up to outside investors. The week before that, November 12, our lead story reported on three barter companies opening in Shanghai to handle the country's huge unsold inventories. Another huge advancement is at hand...Chinese companies are becoming "players" in global mergers and acquisitions, with a high level of sophistication. In the past, acquisitions by Chinese companies were designed to secure access to natural resources--oil or metals. No longer will they be limited. Now they're buying major assets of every description, and even distressed assets out of complex bankruptcies. Such moves not only show their ambitiousness, but are a clear sign that they intend to be major world players. Have you signed up to receive a summary via e-mail of the Tuesday Report every week? If not, go to the top of this issue (right hand corner) to sign up! Ron Baron, the head of New York mutual-fund firm Baron Capital Group, with $5 billion in assets, says we're in an unusual time. "Investors are facing similar conditions enjoyed by those after the 1929 and 1972 peaks," he revealed. "You shouldn't be able to sleep at night, there are so many opportunities available...so many things to do!"